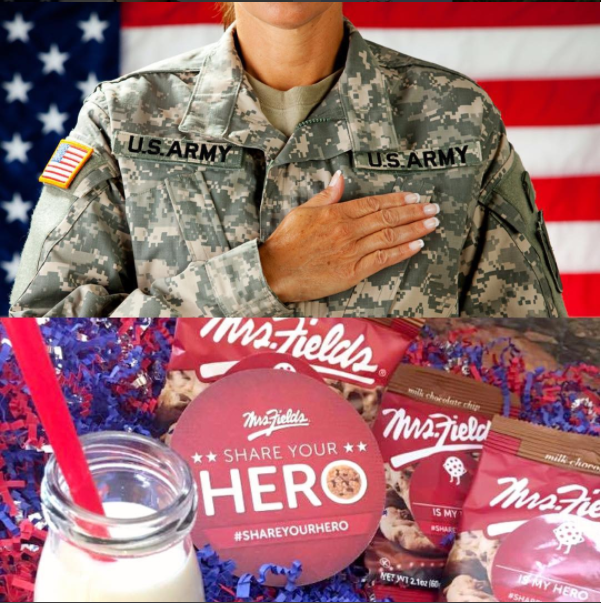 Following the success of our 2015 #ShareYourHero campaign, Interbake Foods — a licensor of Mrs. Fields packaged cookies — asked to renew the campaign with a new focus: Increasing awareness of the Milk Chocolate Chip and White Chunk Macadamia cookies and their availability at Walgreens and CVS locations in the Chicago, IL; Harrisburg, PA; and Washington, D.C. areas. Milk Chocolate Chip and White Chunk Macadamia — two American cookie classics — embody the beloved and wholesome spirits of the everyday “hometown hero,” serving as reminders of sharing special moments with those that inspire us. Revisiting our search for America’s Hometown Hero but within the new context of a historic U.S. election, we wanted to give consumers the opportunity to recognize and vote for the real heroes in their lives — people with undeniable character and who have positively inspired and shaped the lives of others. 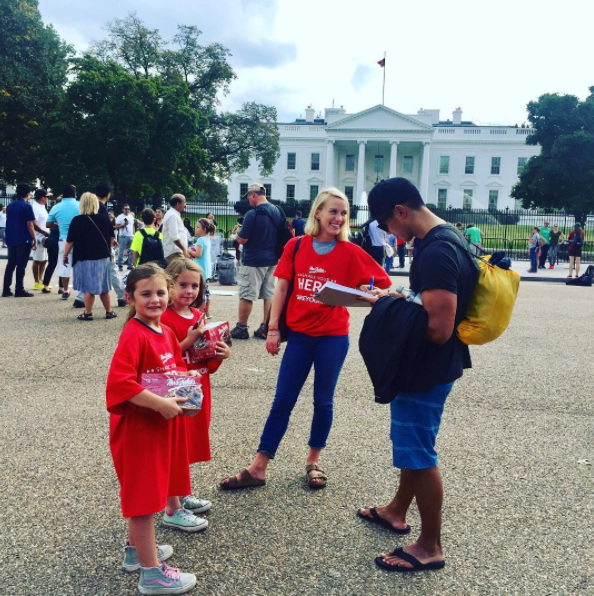 This time, we tested a different incentive: Those who nominated a hero received a complimentary cookie (while supplies lasted) and a $1-off cookie coupon — plus the chance to win their hero $1,000 and a donation of up to $5,000 to the charity of their choice. A campaign microsite served as our hero headquarters to house product information, a cookie finder, a hero video vignette and the contest entry form. 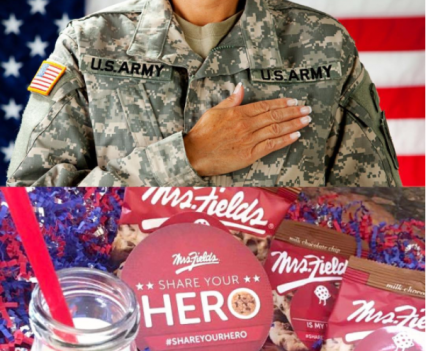 Post engagement ads ran on Facebook and Instagram through our Mrs. Fields-branded @cookiemoment handles, and we also deployed website click ads through the parent Mrs. Fields Facebook page. For each, we targeted moms, Mrs. Fields brand fans and Facebook users that resembled their brand fans. We ran two ad campaigns on Twitter – web clicks and promoted tweets – targeted at moms and deal-seekers within the Chicago, Harrisburg and Washington, D.C. locations. 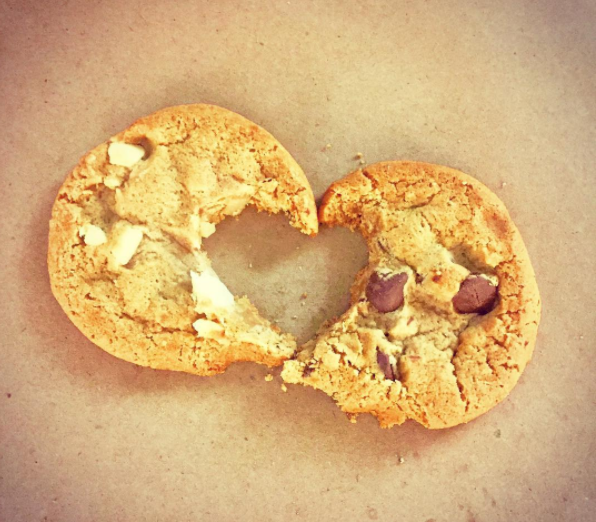 We conducted and promoted bi-weekly pop-up cookie giveaways on Twitter and Instagram, supporting these activations with e-blasts to our list of cookie lovers from previous Mrs. Fields contests to maximize participation. Underscoring our hero theme, we became an official Proud Supporter of the USO, providing their teams with Facebook and Twitter content to promote the chance to win a donation to the organization with their social media fan base. We sent boxes with free samples and details about the contest — as well as cleverly branded collateral to help create the perfect social media image — to targeted bloggers. We executed an influencer program, enlisting a network of social influencers to tout the campaign and contest throughout the duration of the campaign. We tweeted at celebrity cookie lovers, celebrities with ties to a charity, news anchors in our target markets and those expressing love for classic cookies from our @cookiemoments handle to let them know that their cause and/or a local hero in their market could win. We deployed geo-targeted GDN ads in our key locations. 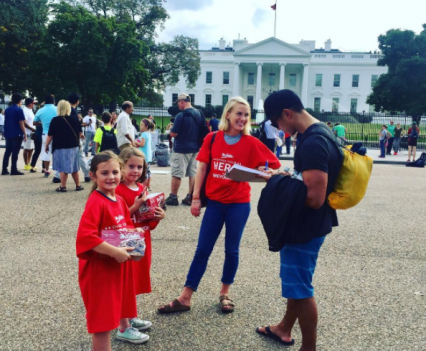 We took to the White House for some guerrilla marketing, where we asked pedestrians and tourists to share their hero and contact information with us for a free cookie. The results of our 2016 campaign blew 2015 out of the water, ultimately resulting in more than 20,000 contest entries and one local winner, Kelly Hughes, whose #FosterLoveProject was honored with a $1,000 personal check, a $5,000 donation to Foster Love Project, and an honorary hometown hero event. Total contest entries: Increased from 16.7k to 20.1k. Coupon downloads: More than 12k. Website traffic: Increased from 55k to 96k website sessions, with all three target markets in the top 25 cities: Chicago (#1), Washington DC (#4), Pittsburgh (#23). Referral traffic: Increased by 102% year-over-year, thanks to our prominent placements on a number of couponing websites. We saw 37,027 visits from this type of traffic during this year’s campaign, accounting for 41% of total website traffic. Bounce rate and session duration: Improved by 17and 99% year-over-year, respectively. GDN ad views: 7 million, in our targeted locations. GDN ad click-throughs: 12k for a .27% click-through rate, up 15% year-over-year. Influencer program: Contributed 14.2M total impressions , 1,262 social shares, 3.6 million total Facebook impressions, 10.5M total Twitter impressions, and 1,953 direct clicks to the website. Social media coverage from ABC “Bachelor” Ben Higgins: Knowing he took his now-fiancée Lauren to the Baker Youth Club in his hometown, we tweeted at former ABC “Bachelor” star Ben Higgins (376K followers), resulting in a retweet about the contest to 376k followers — and a monumental increase of more than 3.5K contest submissions overnight. Social media coverage from Lupe Fiasco’s I Am Mural foundation: Outreach to Lupe Fiasco’s foundation lead to shared content on their social channels and a corresponding spike in contest entries. Social media coverage from local news anchors: Social outreach to local news anchors in D.C. and Chicago helped spread the message about our search for a local hometown hero. Coverage from our strategically distributed blogger boxes: Garnered 8,847,639 impressions across the 14 blogs, all of which were in our three target markets.